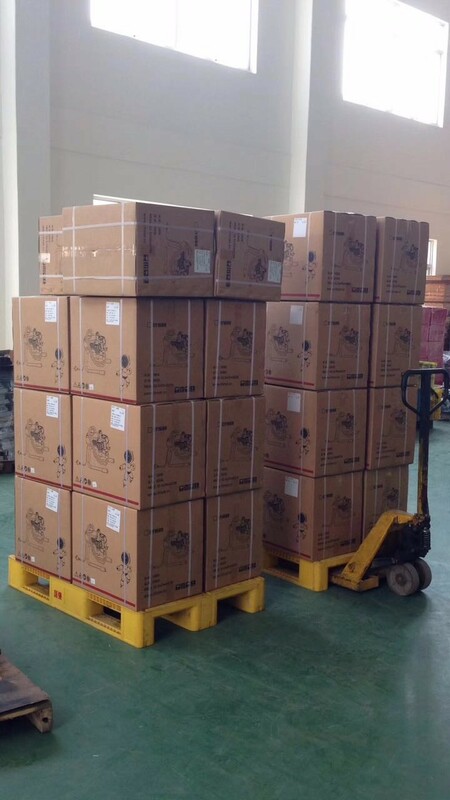 We will customize the size of the packing according to the quantity of the specific products. Packing:one set per carton box. 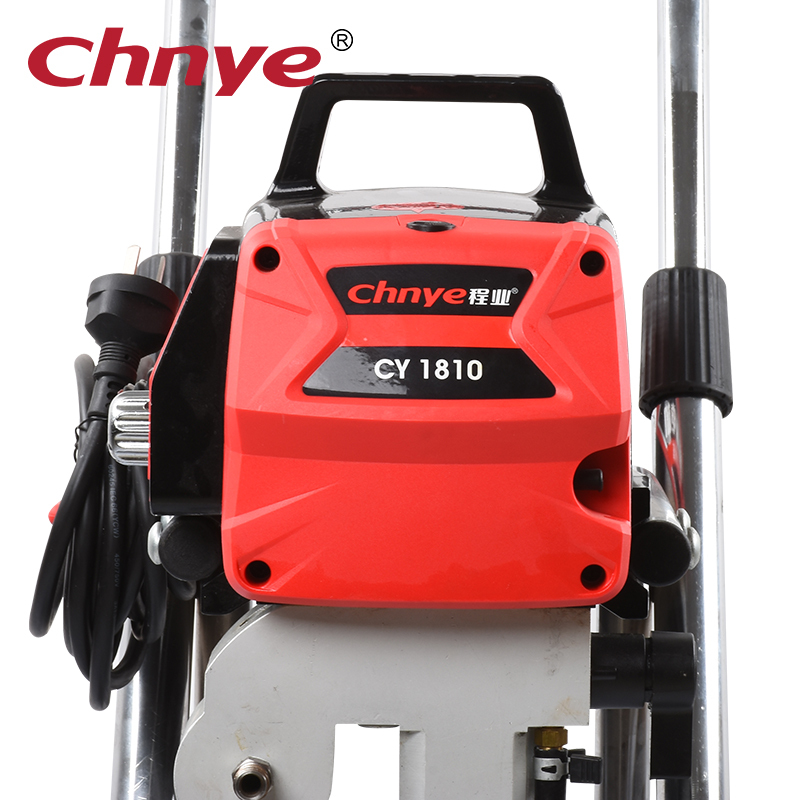 CY1810 electric airless sprayer is suitable for residential applications and small & midsize commercial jobs. 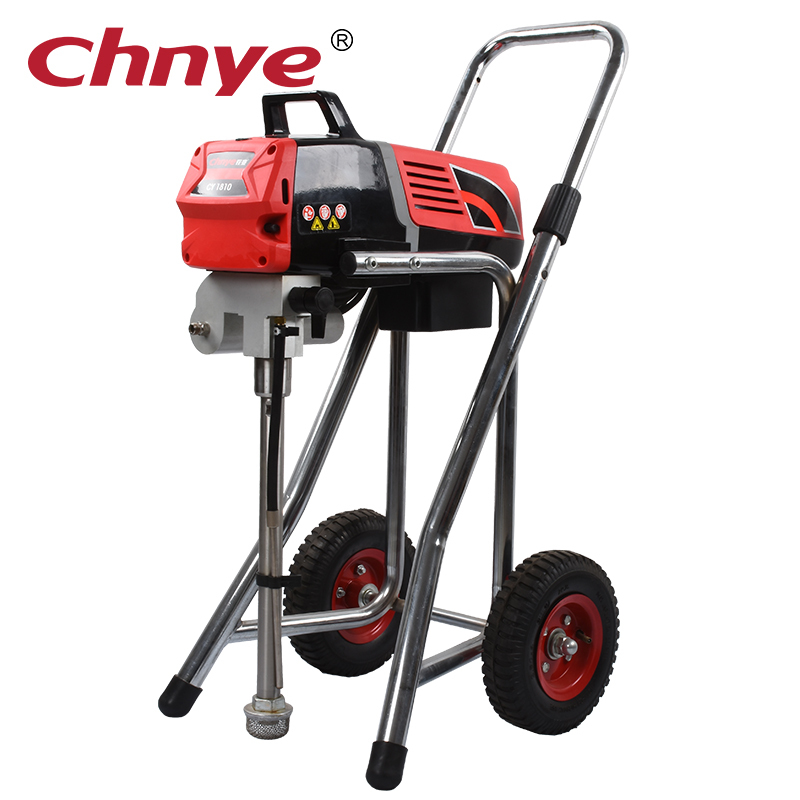 It is light weight and portable, yet rugged and dependable. Spraying all coatings, from stains and sealers to enamel, emulsions and exterior masonry finishes. * having our own designing and production department for accessories, Strictly control the quality of each process. 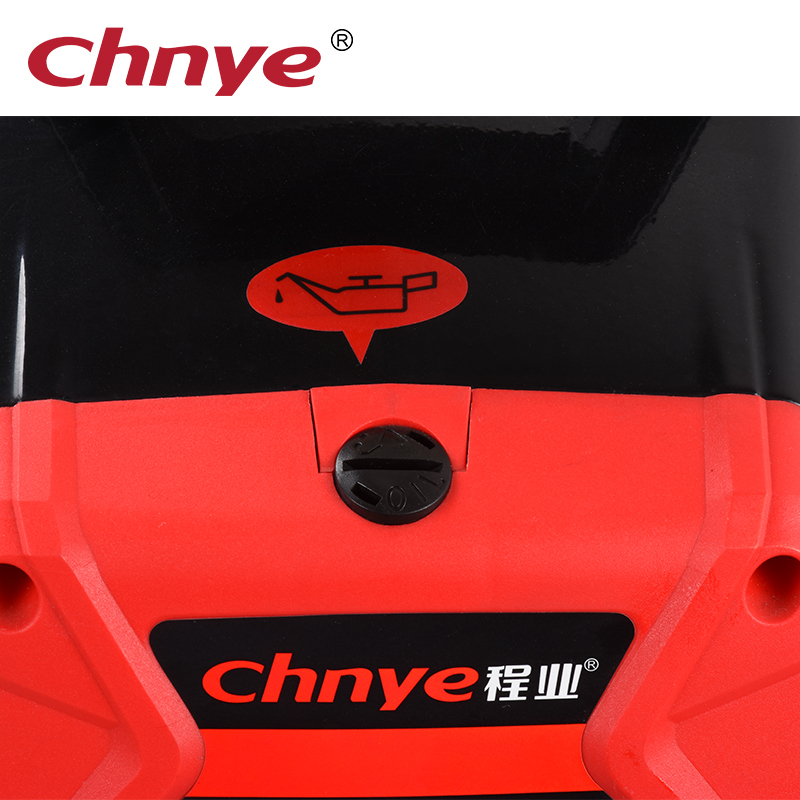 * designed for a wide variety of applications. * to deliver a higher flow rate that lets you get the job done faster. 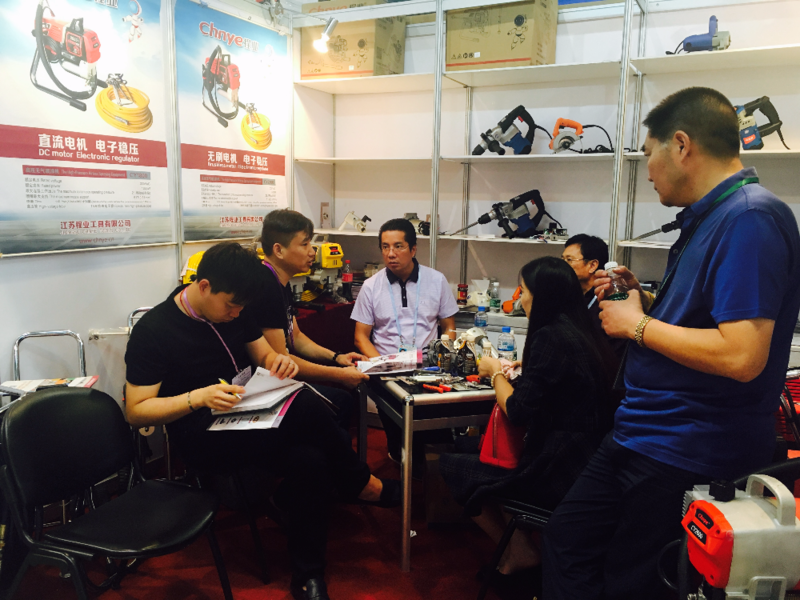 * adopted high quality motors and top grade parts, longer service life. 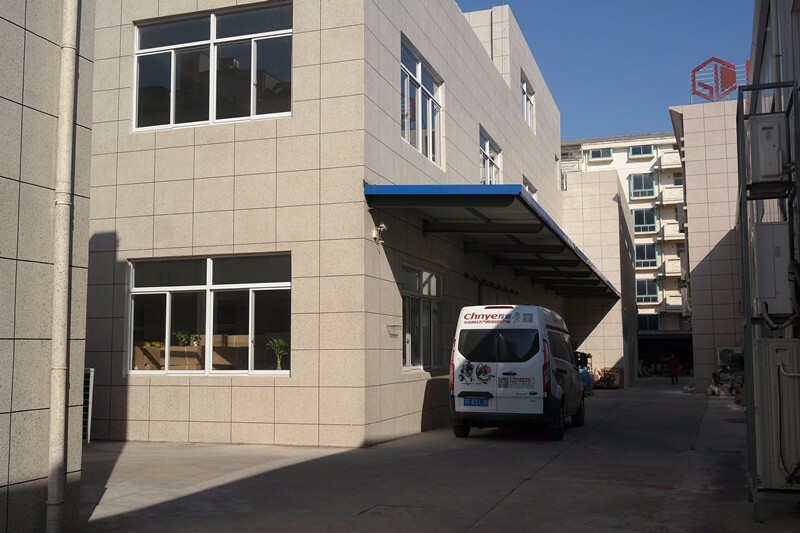 * steady operation makes the painting performance excellent. 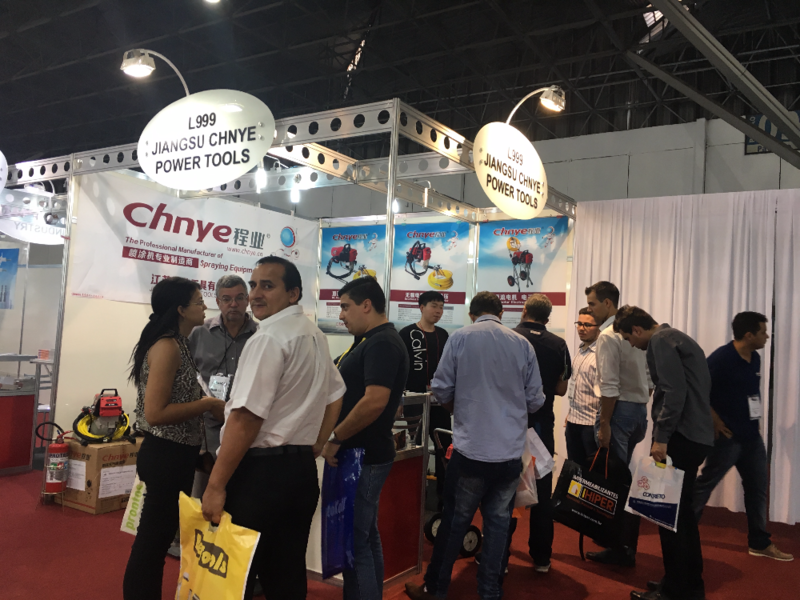 Jiangsu Chnye Tools Co.,Ltd is located in Lvsi harbour economic development zone, Qidong City, Jiangsu Province, China. 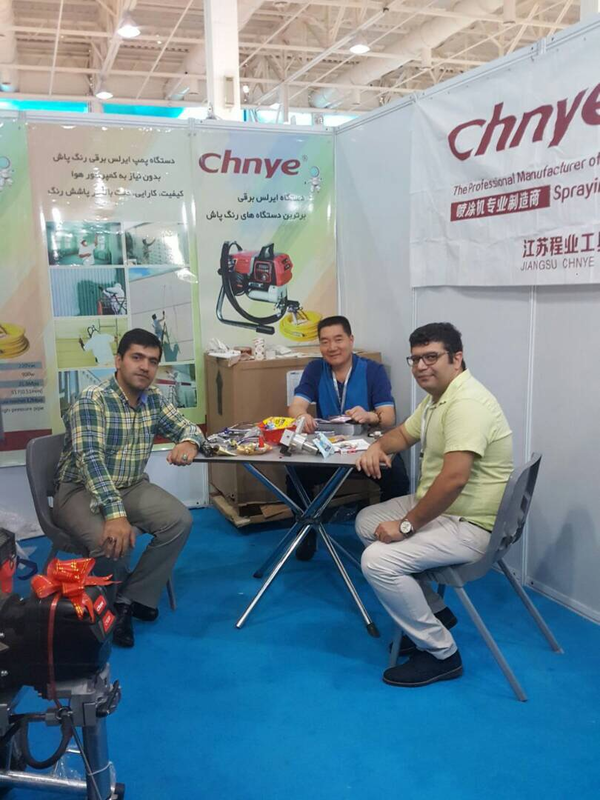 Our company is a professional manufacturer of airless spray machines. 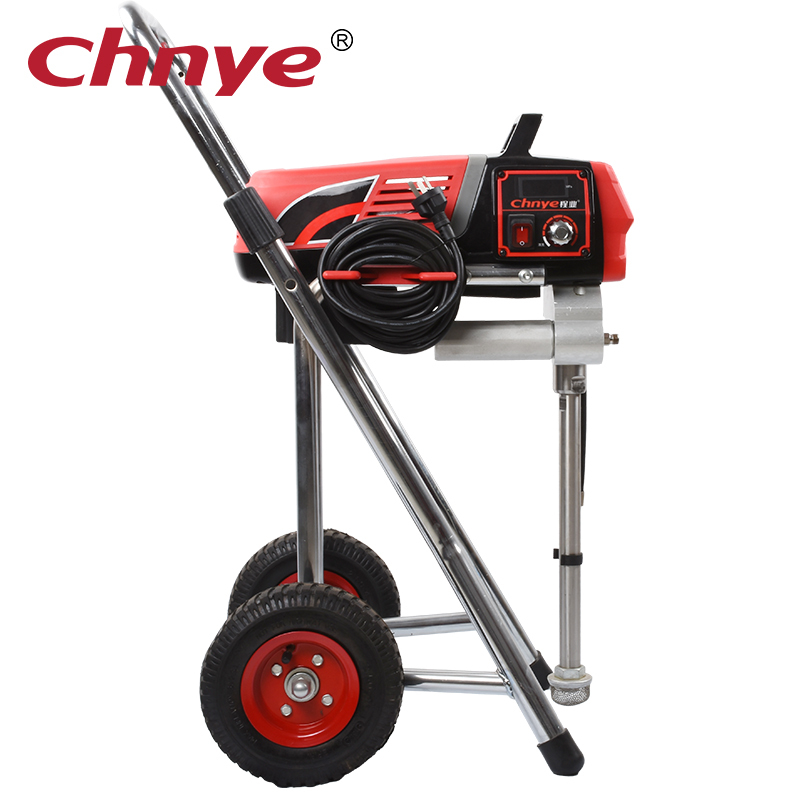 We manage Chnye to produce various airless spraying equipment. 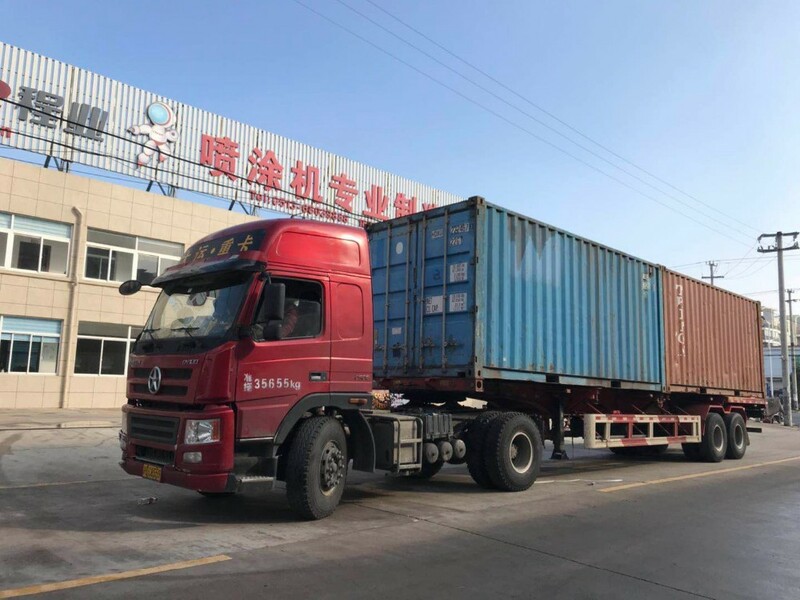 We devote ourselves to be the leading manufacturer of this field for kinds of coatings, to provide customers professional and efficient solutions and perfect after-sales service. 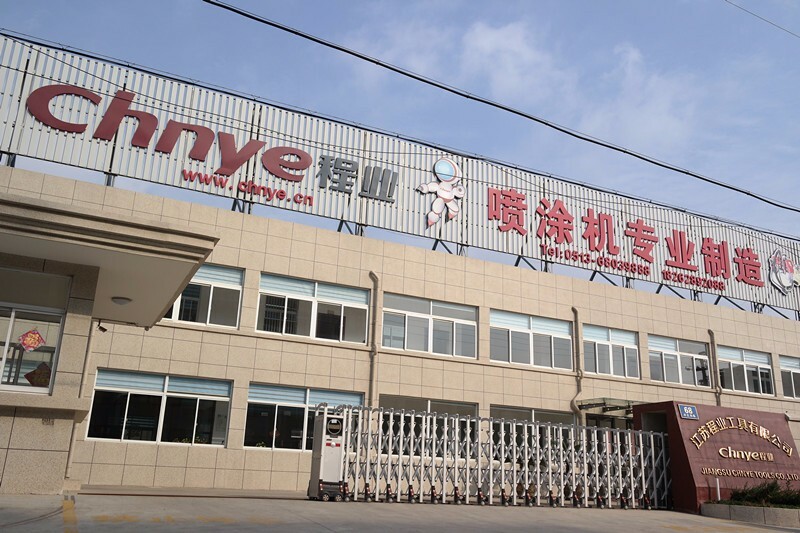 Chnye founded own Technology R&D Center, has developed professional design and manufacturing team of making high quality and cost-effective products to meet personalized market demands. 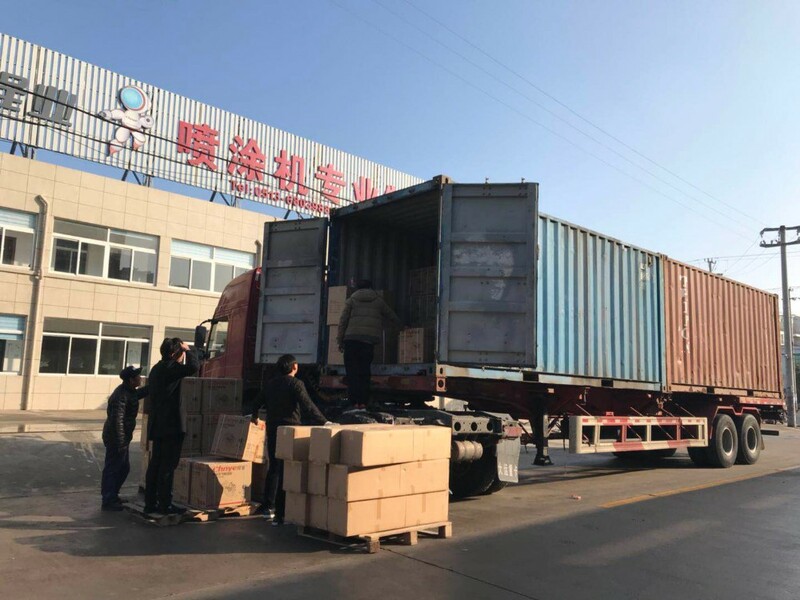 Besides, we currently set up agents or distributors among the Europe, America, Southeast Asia and China to provide technical training and related guidance. 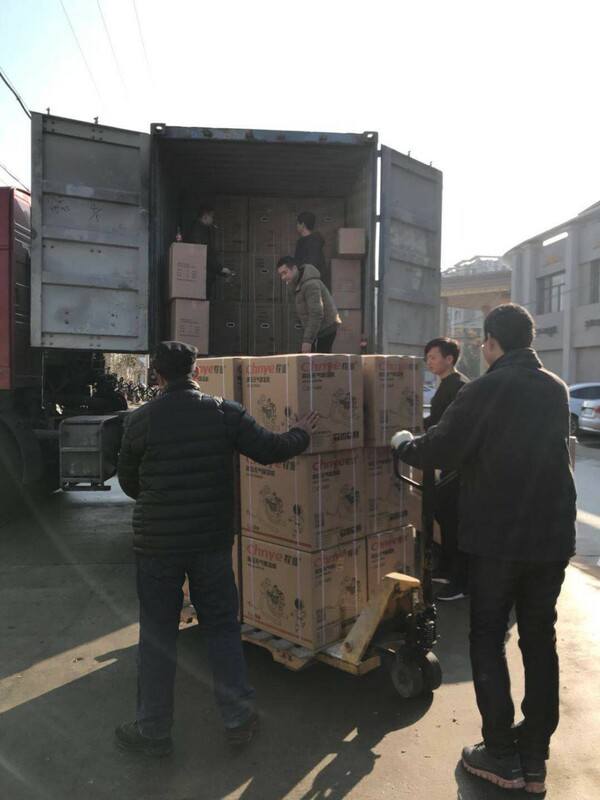 The standard package is carton box(Size: L*W*H). 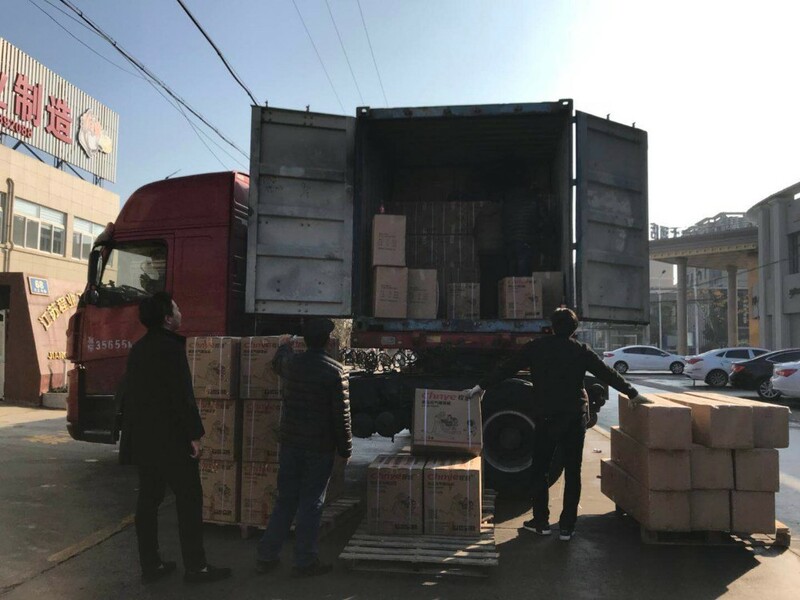 To keep the airless sprayer undamaged during transportation, we use foam to fix and necessary accessories are included. 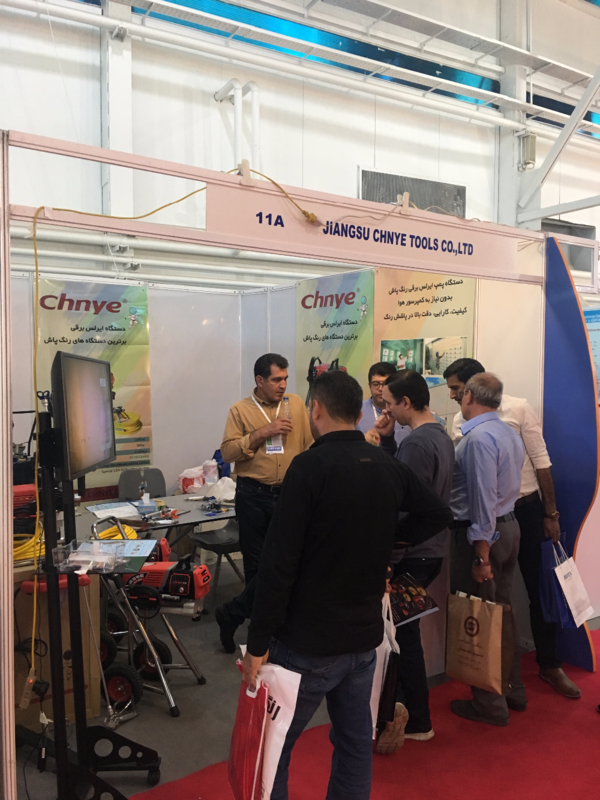 This entry was posted in Spray Gun Mfg and tagged Auto Spray Paint Machine, Electric Airless Wall Spray Paint Machine With Digital Automatic Control System, High Quality Electric Airless Paint Sprayer, Wall Spray Paint Machine.